Hulk Hogan is going to be in Buffalo this weekend, and had some nice things to say about Buffalo Wrestling and the fans here. Steve Cichon has more from the Hulk and wrestling’s glory days in Buffalo. Hulk Hogan is making an appearance at the Nickel City Con at the Convention Center this weekend, and he spoke with Mark Ciemcioch at The Buffalo News about his times in Buffalo. He has great memories of wrestling in Buffalo, and like so many of us, Hulk Hogan has great memories of Memorial Auditorium. 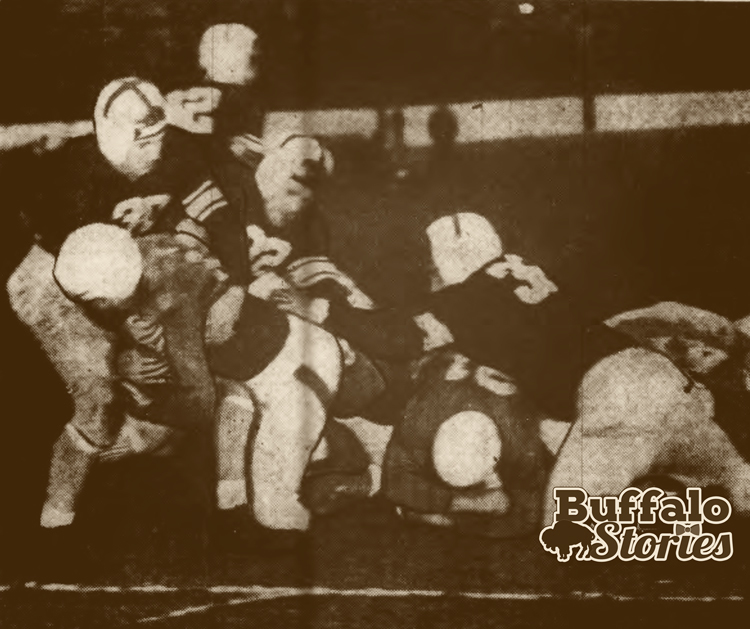 Hogan traveled to Buffalo many times during his career, even having knee surgery here. He particularly enjoyed working the old Buffalo Memorial Auditorium before it closed in 1996. 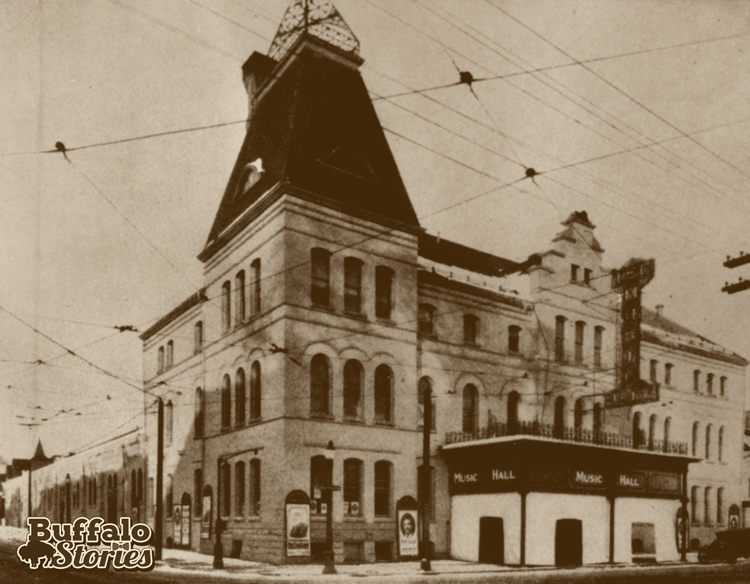 Wrestling, of course, goes way back in Buffalo– to big Friday Night sell out crowds through the 30s, 40s, and 50s, first at the old Broadway Auditorium (now “The Broadway Barns” and the home of Buffalo’s snowplows), and then Memorial Auditorium when it opened in 1940. “This was a shirt and tie crowd,” said the late Buffalo News Sports Editor Larry Felser, who remembered when Wrestling at the Aud was one of the biggest events in Buffalo. And with all those big crowds, there was no wrestler who could draw them in like Gorgeous George. “When Gorgeous George would wrestle, they’d pack the Auditorium for this guy,” said Felser. As someone who called himself “Hollywood’s perfumed and marcelled wrestling orchid,” it’s clear that George knew how to make sure he set himself apart. “He had an atomizer, and he’d walk around the ring with perfume, supposedly fumigating his opponent’s corners,” said Felser, who also remembered his flair for marketing outside the ring. 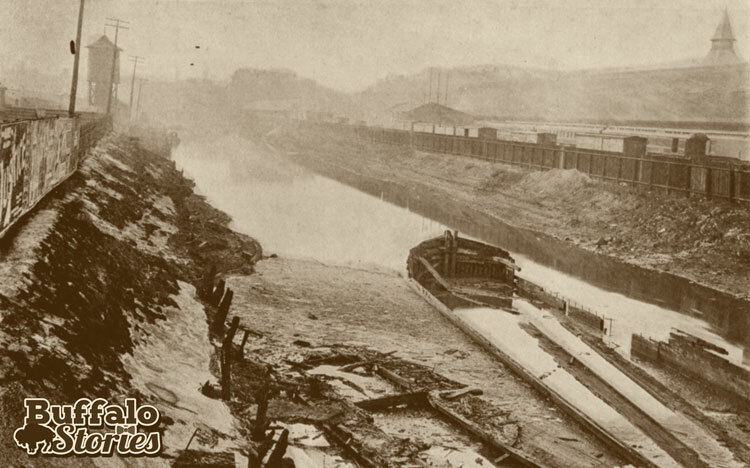 Before they were even finished digging the Hamburg Canal, in 1849, the standing, fetid water in the half-dug ditch was blamed in part for a growing cholera crisis in what we now call the First Ward and Canalside areas. Originally conceived to help divert traffic away from the busy Erie Canal, soon the railroads were doing a good enough job of making the Hamburg Canal in particular nearly completely obsolete. For decades, the fate of the canal was a political hot potato. Albany politicians tried to wrestle control of the valuable land. Others vowed the city could make a fortune by filling it in and getting the land into the hands of the railroads – but which railroad seemed to be the point of disagreement. Meanwhile, the mucky water sat festering. The largest part of the Hamburg Canal was finally put out of its misery when the Lehigh Valley Railroad built Buffalo’s glowing new passenger terminal on a filled-in portion of it in 1916. Hate for the man-made waterway was reignited when Depression-era WPA workers came across a long-covered portion of the canal running where they had been planning on building the foundation of Memorial Auditorium. Special reinforced sewers were built below The Aud to allow the old canal’s waters to continue to move all through the building’s nearly 70-year history. Today, the Canalside rink, the Courtyard by Marriott and The Buffalo News are all on ground that was once Buffalo’s most derided waterway. 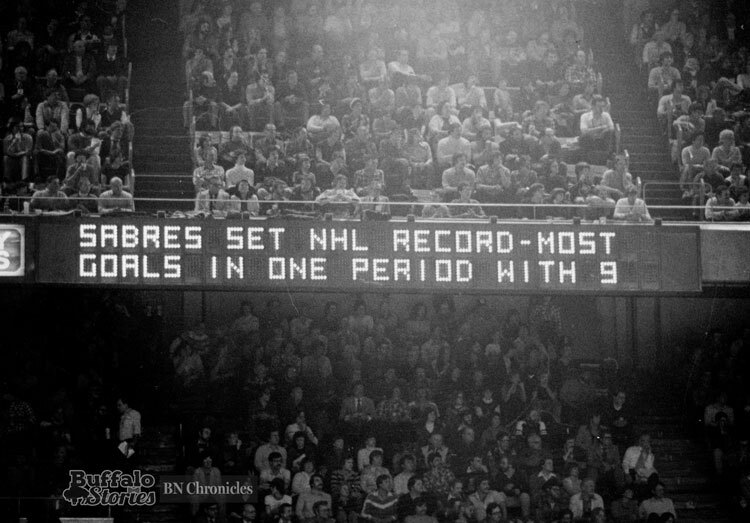 It’s an NHL record that stands to this day. 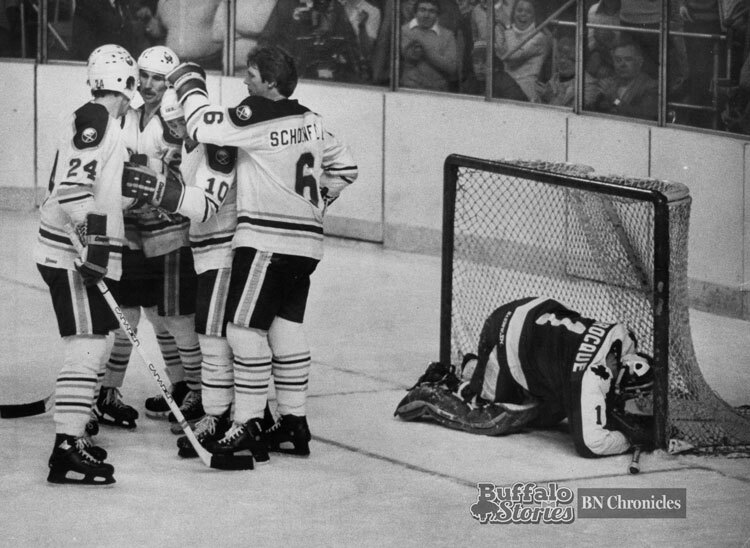 On March 19, 1981, the Buffalo Sabres became the only team to score nine goals in a single period. 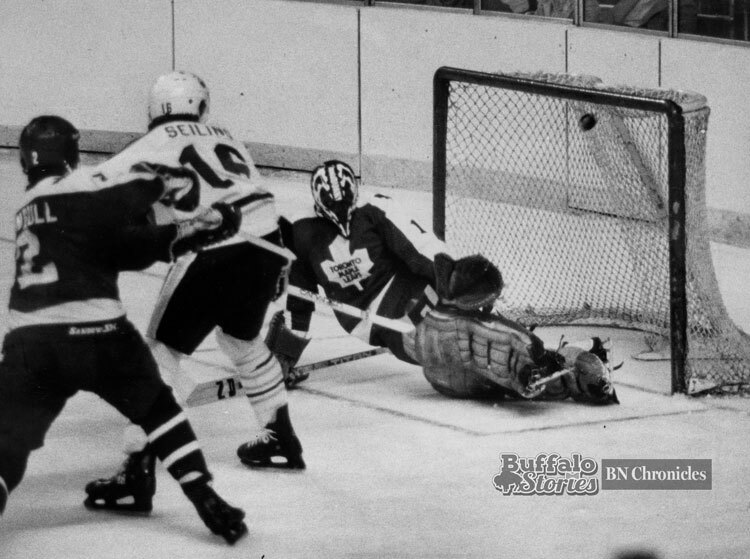 The torrent of goals came in a 14-4 trouncing of the Toronto Maple Leafs at Memorial Auditorium. 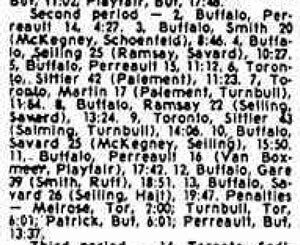 In just that second period, Gil Perreault had a hat trick. Andre Savard and Ric Seiling each had four points. Savard had two goals, Seiling, Derek Smith, Craig Ramsay and Danny Gare also each had a goal. The score after two periods at Memorial Auditorium. 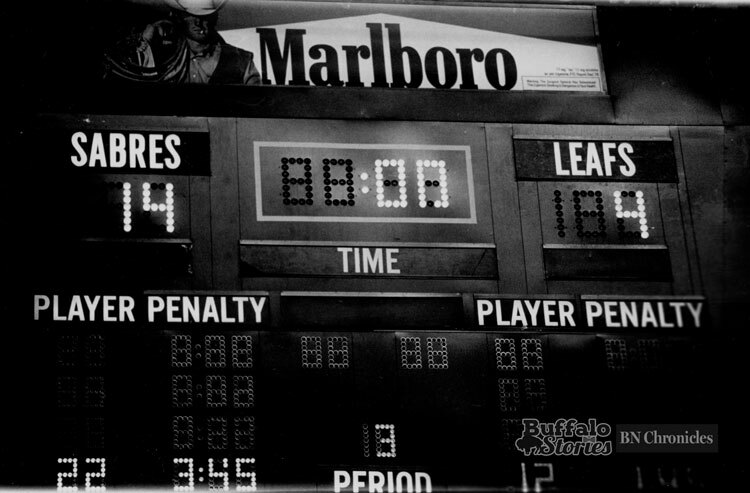 Toronto’s three goals combined for the most ever scored in an NHL game. 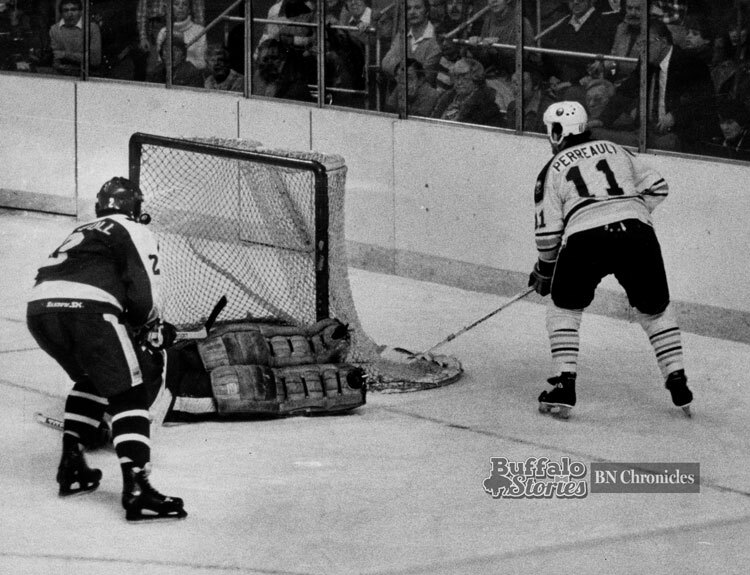 Gil Perreault scores one of his three in the record-breaking period. 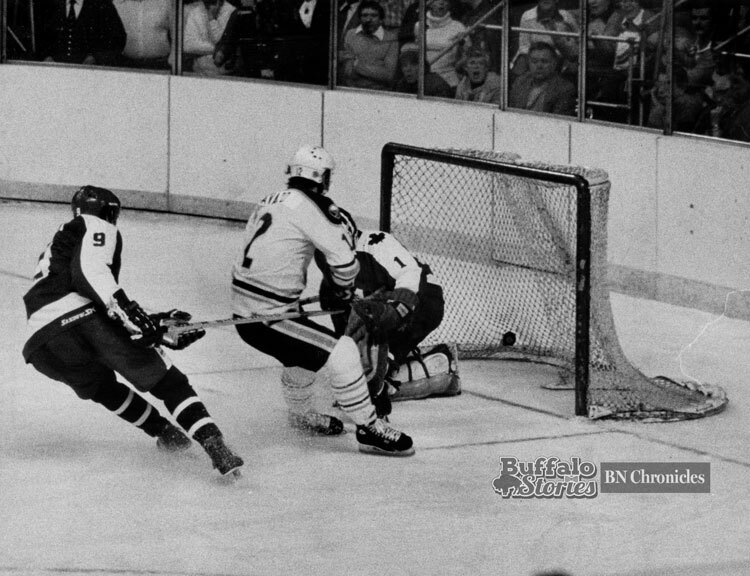 Ric Seiling scores top shelf. 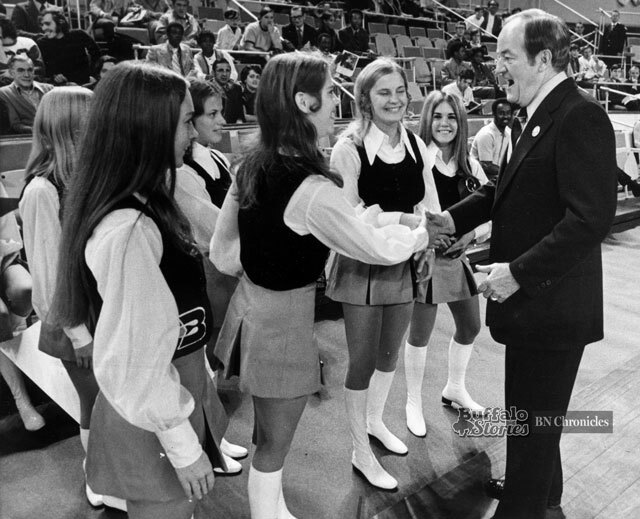 Vice President Hubert Humphrey was the Democratic nominee for president in 1968 when he lost to Richard Nixon in the general election. 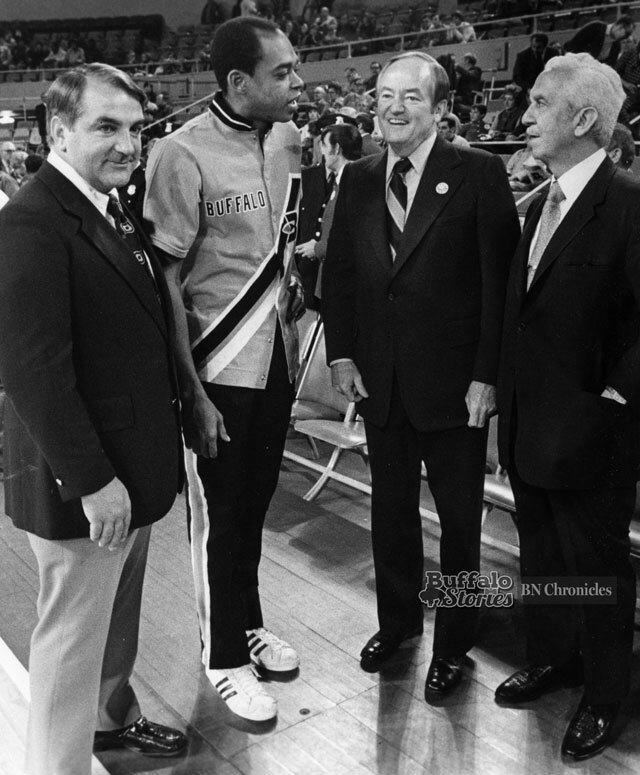 In 1971, as he contemplated another run at Nixon the following year, he stopped in Buffalo for a pre-campaign visit and to take in the Buffalo Braves home opener at The Aud. 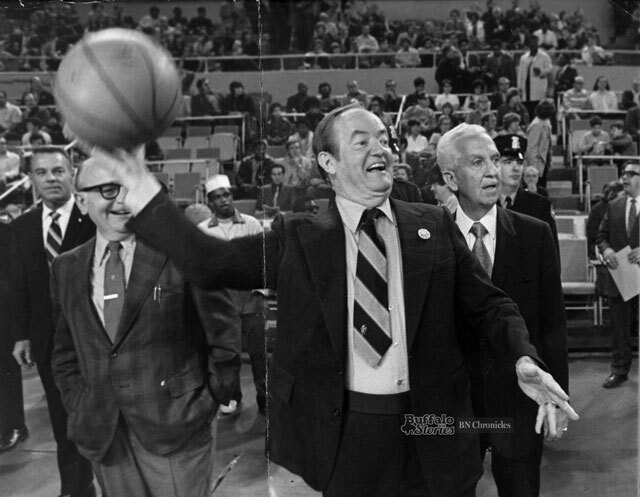 Senator Humphrey appears to be having a better time than Mayor Frank Sedita as the former VP gets ready to lob the ball out onto the court. Humphrey visits quickly with the Braves cheerleaders. No record of whether an “ooh, ahh… Hubert on the warpath” chant broke out. Fans directly behind them in the golds and reds don’t seem too interested in the courtside conversation going on between Braves owner Paul Snyder, Braves Captain Walt Hazzard, Vice President Humphrey, and Mayor Sedita. 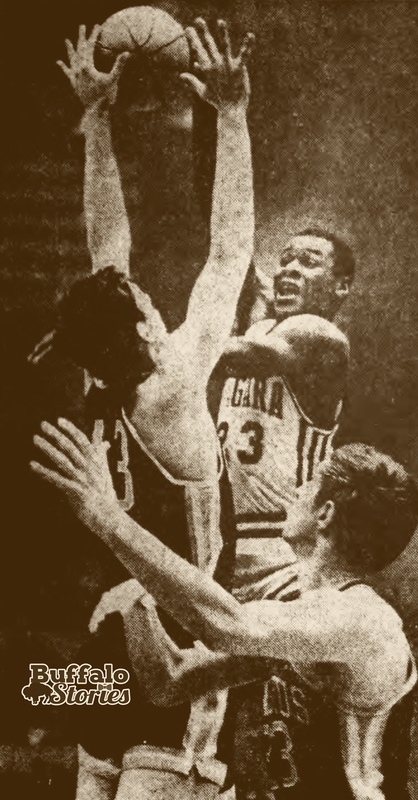 That night, Hazzard, in his first game with the Braves after being acquired from the Hawks in the offseason, led the Braves with 14 points as they were pounced by the Seattle Supersonics, 123-90. 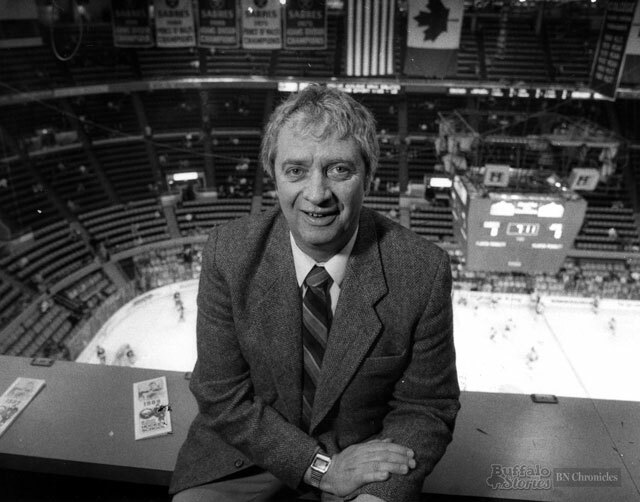 Rick Jeanneret and the late Voice of the Bills Van Miller are different in almost every conceivable way, but the one way they were exactly the same is the same way they honest-to-goodness lose their minds when their team—our team—does the extraordinary. There’s nothing fake in the shouting. 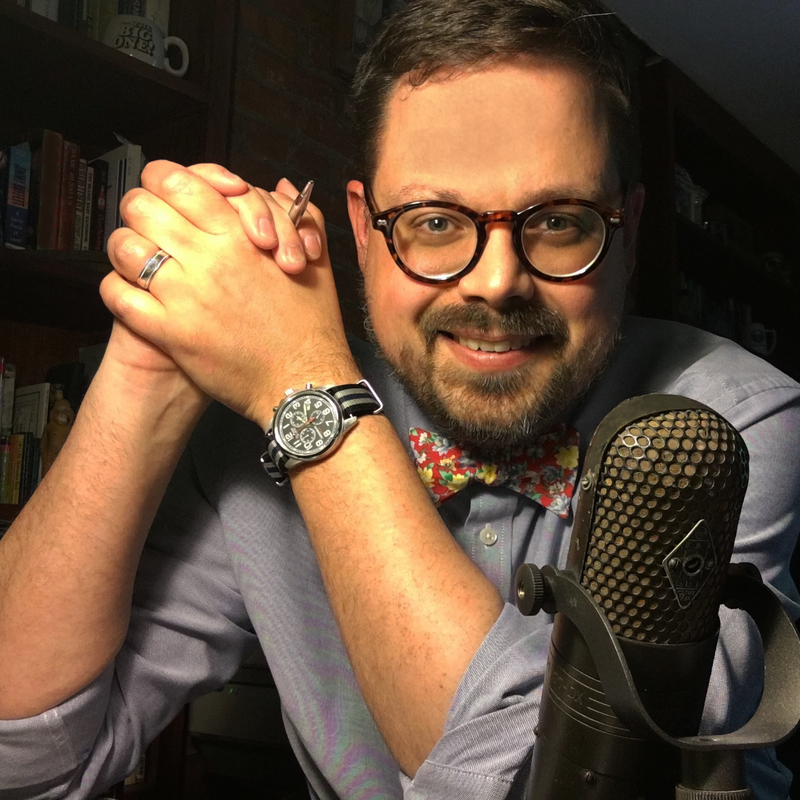 Rick’s goal calls mix perfectly with the explosion of screaming at taverns and gin mills and in living rooms and in cars all over the place—because it’s the same excitement. Our guy RJ, inseparable from our love for Sabres hockey, watches the game and says the things we wish we were smart and cool enough to say. If he were only one of us, he’d be the funniest, most excitable, best-informed guy watching the game with us at the tavern. Instead, for 45 years, he’s been the funniest, most excitable, best-informed guy in every tavern in Western New York. His feet never stopped tapping while he was telling us what he saw on the ice, but he says he limited himself to one beer per period to “help loosen his tonsils” while calling the game the way he’d want to hear it. By 1989, the beer drinking during the games had dried up—mostly because, Jeanneret told The News in 1992, new arenas were being built without thinking of a play-by-play man’s washroom needs. It all started one day in 1963, when Jeanneret was a disc jockey at CJRN Radio in Niagara Falls. He went to a junior game as a fan. Despite the fact that he’d never done hockey play-by-play before, folks from the station came to find him when the guy who was supposed to announce the game on the radio called in sick. 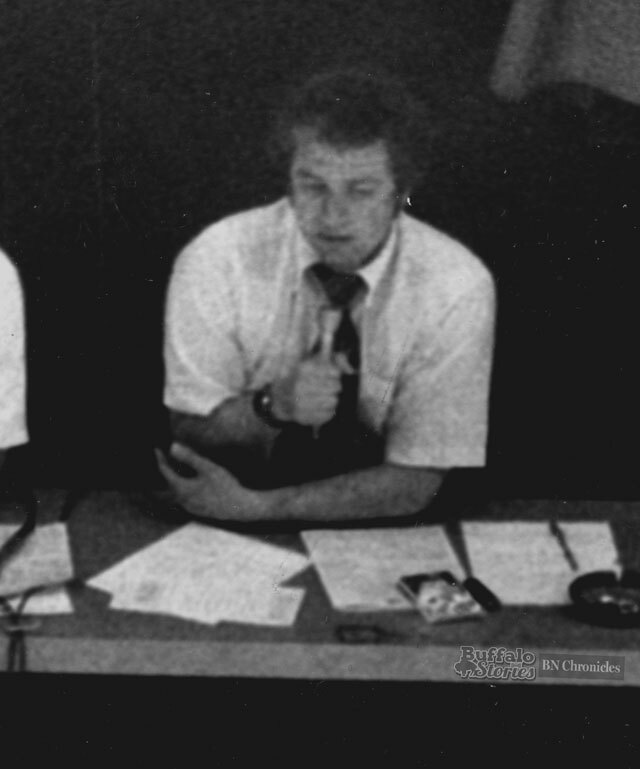 He’s been a hockey announcer ever since, including for some time with the American Hockey League Buffalo Bisons, and living inside our radios and TVs as one of the voices of Sabres hockey since 1971. 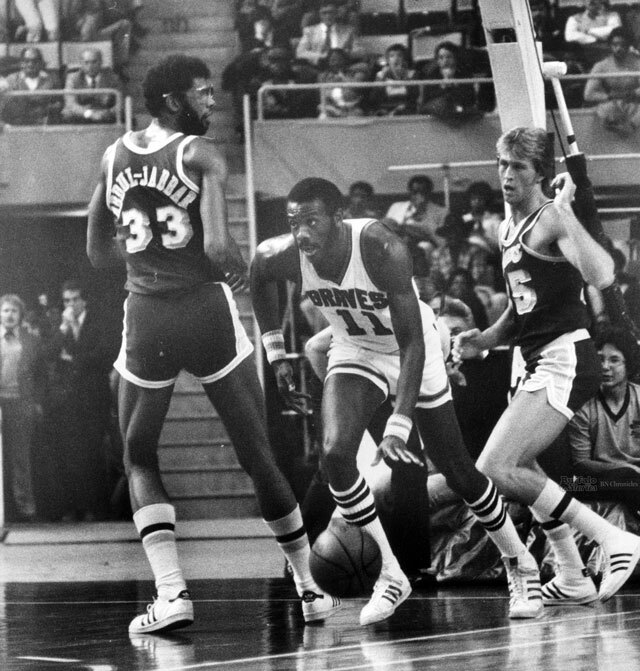 It was an overtime thriller in a battle of two of the NBA’s premier big men as Bob McAdoo and the Braves hosted Kareem Abdul-Jabbar and Lakers at Memorial Auditorium. It was Nov. 9, 1976, and McAdoo was showing the stuff that had won him the NBA MVP Award a season earlier. Down by 20 heading into the fourth quarter, McAdoo led a comeback — including hitting a basket with two seconds left to tie the game. Randy Smith’s eight points in overtime cemented the Braves’ 121-116 victory. 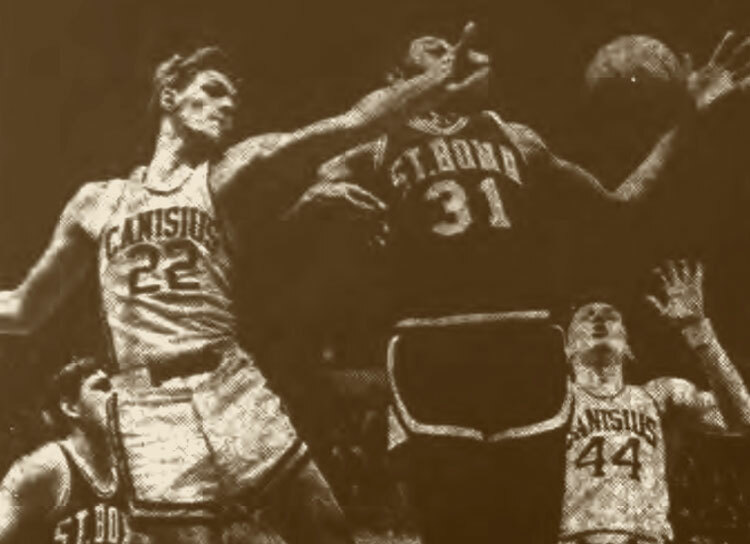 Abdul-Jabbar led the game with 37 points in the losing effort; McAdoo had 34. Buffalo fans were getting one of their last looks at McAdoo in a Buffalo uniform. Exactly one month to the day after this photo was taken, McAdoo was traded to the New York Knicks along with Tom McMillen for John Gianelli and cash. 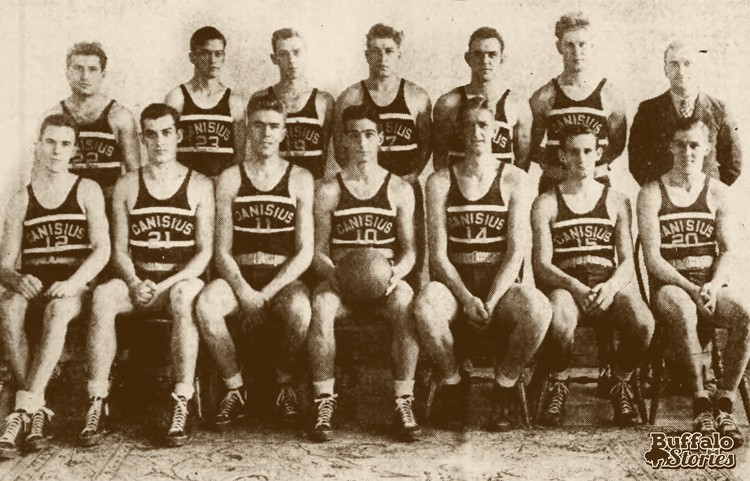 McAdoo and Abdul-Jabbar ended up teammates on two Los Angeles Lakers championship teams where McAdoo was the sixth man on the club that also featured fellow Hall of Famers Magic Johnson and James Worthy. Gorgeous George was wrestling’s first bad guy. He invented the persona after he married his real-life wife in the ring, and then over and over again, seeing the potential for showmanship in the sport, which had little of it before his silk robes and atomizer. Gorgeous hardly is gaining in favor with the populace. Mincing down the aisle in a cream robe, cape style, he was the target for assorted paper cartons and one entire beer. He was thrown out of the ring early in the mill, and his well-being appeared endangered until he escaped. 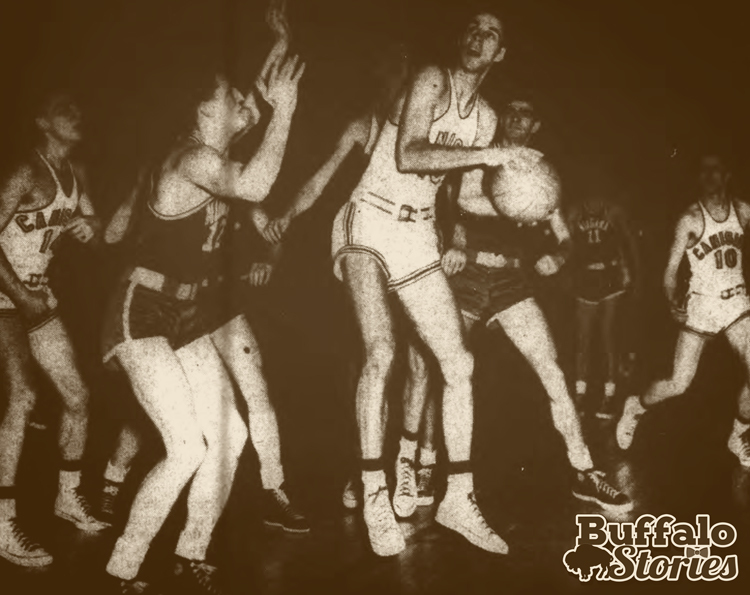 GG is well-remembered for rebuffing any touch with a boisterous “Get your filthy paws off of me,” but two events remained etched into the psyches of Buffalo wrestling fans. One, the night Stormy Bob Wagner “gave Gorgeous an authentic beating” at Memorial Auditorium, complete with a real head wound created by GG’s perfume bottle. The other press event involved Gorgeous George driving to the Aud down Main Street in a convertible, waving around handfuls of dollar bills. When he began to throw them out to “the peasants” in Lafayette Square, a riot almost ensued. The stories are emblematic of a showman whose curly locks and silky robes helped make wrestling into a popular attraction that became the multi-billion dollar industry it is today. To remember GG as merely a heel wrestler — even only as “The First Heel Wrestler” — belittles his memory. The Human Orchid was one of the great stars of early television. Wrestling was cheap, flashy and easy to televise — and Gorgeous George was the performer that people loved to hate. It was said that in TV’s earliest years, Gorgeous George’s appearance on TV sold as many televisions as Milton Berle’s. Gorgeous George — his legal name after 1950 — died of a heart attack at age 48 in 1963, just as another boisterous, flamboyant, larger-than-life personality began his career in the ring — albeit the boxing ring. In the same 1964 Associated Press story that asked if Cassius Clay was “a hoax … or the new golden boy,” his promotional style was offered up as patterned after Gorgeous George. 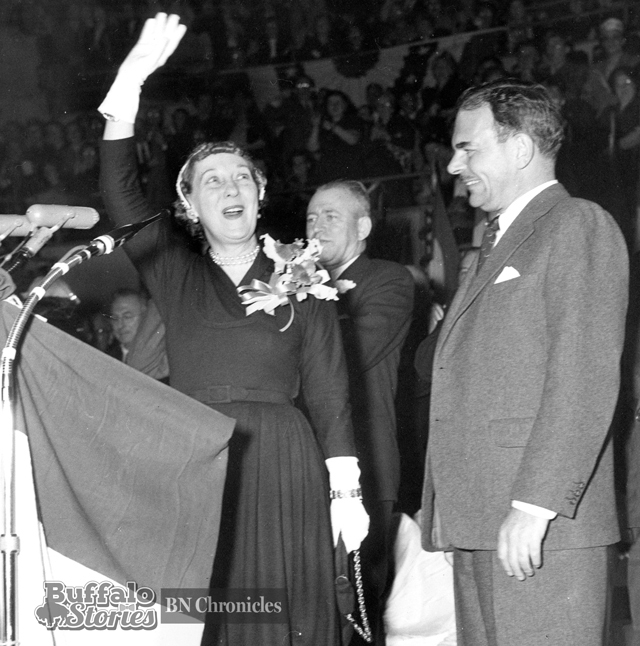 During the 1952 presidential campaign, both the Republican and Democratic candidates visited Buffalo’s Memorial Auditorium for rallies on back-to-back days. Gen. Dwight Eisenhower, the hero of World War II and Republican candidate, drew a crowd of 20,000 at the Aud. The photo shows the future first lady, Mamie Eisenhower, along with former New York Gov. and 1948 Republican nominee Thomas Dewey, on the Aud stage. 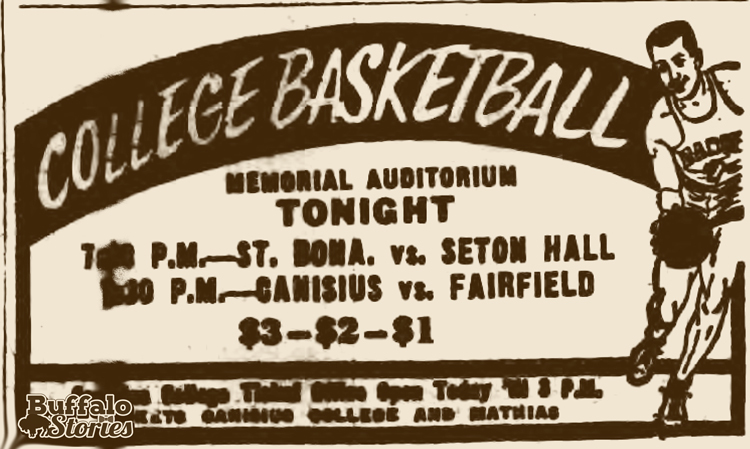 At the time, it was the largest-ever crowd in the building. The day before, Gov. Adlai Stevenson, the Democratic candidate, spoke to about 13,000 at the Aud. The Courier-Express called the two days of campaigning “Buffalo’s Great Presidential Debate.” Judging by the numbers of supporters who showed up for each event, Eisenhower won the debate — and the White House. He served two terms, with Mamie as first lady, from 1953 to 1960. 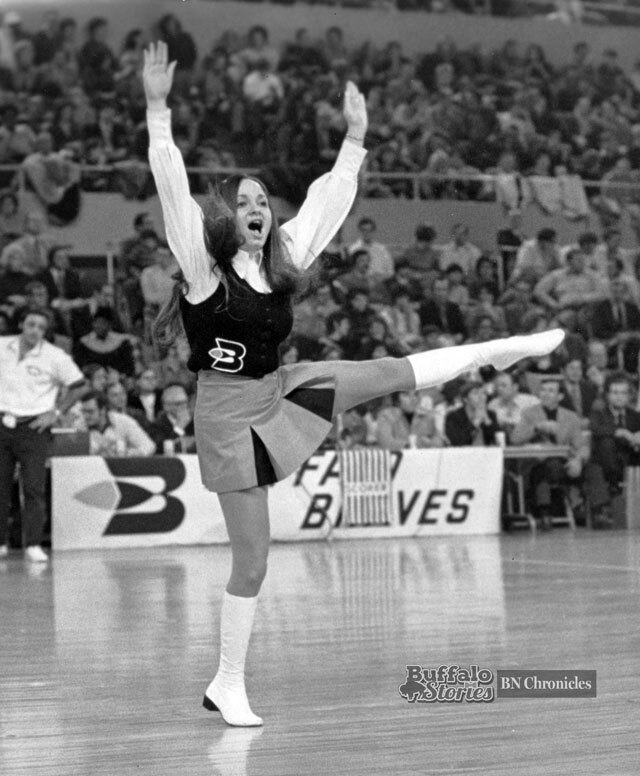 We can’t be sure exactly what the cheer was at the moment News Photographer Robert L. Smith snapped this photo, but the scorer’s table at Memorial Auditorium didn’t seem too impressed. Fans in the Gold and Red seats, however, seemed to be paying closer attention.